Infosys now plans to re-purpose Skava's micro services-based business and re-focus Panaya's suite of products. Infosys has dropped plans to sell Panaya and two other subsidiaries Skava and Kallidus after it failed to find any potential buyers. In April, Infosys had announced its plan to sell Panaya -- the Israeli firm whose acquisition became a contentious issue between the founders and the erstwhile management led by Vishal Sikka -- along with Kallidus and Skava. It expected the sale to be completed by March 2019. "During the quarter ended December 31, 2018, based on evaluation of proposals received and progress of negotiations with potential buyers, the company concluded that it is no longer highly probable that sale would be consummated by March 31, 2019," Infosys said in a regulatory filing. Accordingly, Panaya and Skava have been de-classified from "held for sale", it added. Infosys said upon de-classification, it has recognised additional depreciation and amortisation expenses of $12 million and a reduction of $65 million in the carrying value for Skava. A whistleblower report in 2017 had alleged wrongdoings by Infosys and some officials in the $200 million acquisition of Israeli automation technology firm Panaya by the Bengaluru-based IT services firm. An internal audit committee set up by Infosys found no evidence supporting the whistleblowers allegations. However, Infosys founder N R Narayana Murthy had demanded that the full report by Gibson, Dunn and Crutcher on these whistleblower allegations be made public. Later in October 2017, the Infosys board -- under its new chairman Nandan Nilekani -- gave a clean chit to the controversial Panaya acquisition, saying there was no merit in the allegations of wrongdoing. It had also said that after a "careful re-consideration" it has concluded that putting out more details of the probe would "inhibit the company's ability to conduct effective investigations into any matter in the future". 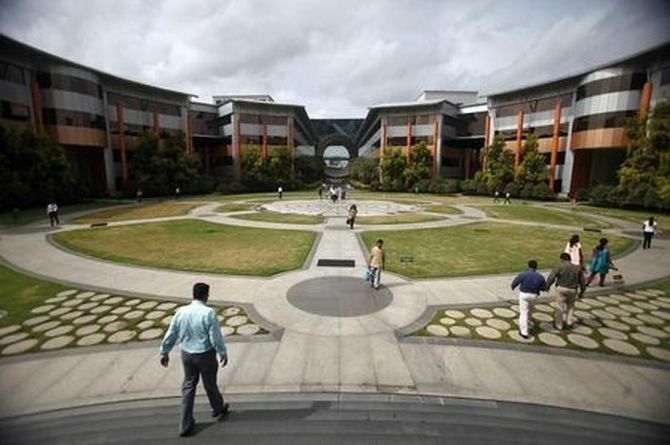 Infosys, in its Friday filing, also said the board has approved divesting the entire minority investment made by Infosys in Vertex Ventures US Fund I, LP for a total consideration of about $5 million, subject to fulfilment of necessary closing conditions. Infosys had invested in Vertex Ventures US Fund I, LP during financial year 2015.